LANSING, Mich. — “No More Victims,” a group of laypeople located in the diocese of Lansing, MI, has prepared a sweeping collection of accounts drawn from national and local headlines concerning the clergy sexual misconduct with respect to adults. The reader, titled “What We the Laity are Reading that has Shaken us to the Core,” is 32 pages long; it includes excerpts from some of the most shattering articles published on the subject in recent months and information about additional resources. The full reader is available here, and will be available online at nomorevictimsMI.org. Copies of the reader have been sent to all U.S. Bishops in advance of their Fall Meeting, which begins today, Monday, Nov. 12. No More Victims hopes the bishops will regard the document as a vital resource and a tool in confronting the full problem of clergy sexual abuse in all its complexity and scope. It is not just Archbishop McCarrick who is the problem or clergy who abuse minors, but also clergy who engage in sexual misconduct with adults. The U.S. Conference of Catholic Bishops (USCCB) is currently gathered for their annual fall General Assembly, November 12-14 in Baltimore, Maryland, at the Waterfront Marriott. The American bishops are under intense moral pressure (and also a legal mandate in some places) to open their records and clean their houses. Laity are demanding accountability from the bishops. The No More Victims board includes Al Kresta, broadcaster and author; Jason Negri, accountant and director of No More Victims; and Graham Lapp, survivor and advocate, among others. Janet E. Smith, moral theologian, is a consultor to the group. 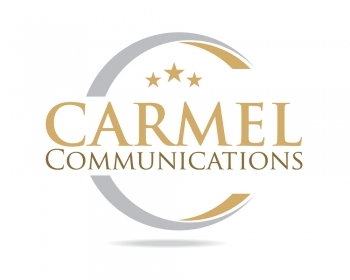 For more information or to arrange an interview with one of the board members of No More Victims, please contact Kevin Wandra (404-788-1276 or KWandra@CarmelCommunications.com) of Carmel Communications. 3/28/2019What inspired Michael O’Brien as a writer and artist?